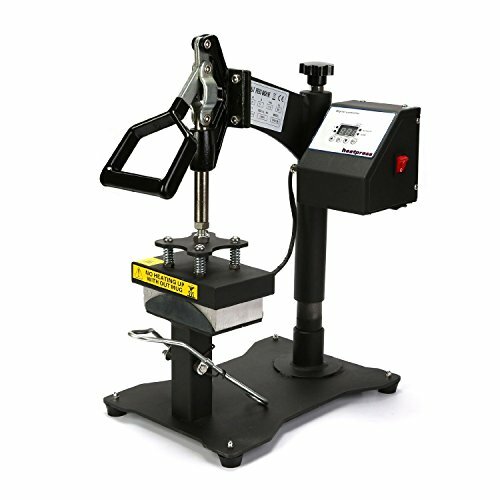 6" X 3"hat heat press machine introduction: this cp815b is a newly developed swing away cap hats heat press transfer machine by our company. It can be able to apply transfers, letters, numbers and images on cap, baseball hats and any other items. This machine has nice outer appearance with fine workmanship. This heat press is compact which saves space. It will produce a delightful result in a few minutes and you will enjoy the memories every time you use it. Technical parameters: machine color: black printing size: 6" x 3" temperature range: 0-230°c timer range: 0 - 999 seconds. Wattage: 450w voltage: 110v/220v package dimension: 24"x19"x15" package content: 1 x fully-assembled machine 1 x pre-installed heating element 1 x power cable 1 x operating instruction.